Care coordinators organize patient care activities and share information among vested participants to achieve safer and more effective care, per the Agency for Healthcare Research and Quality (AHRQ). 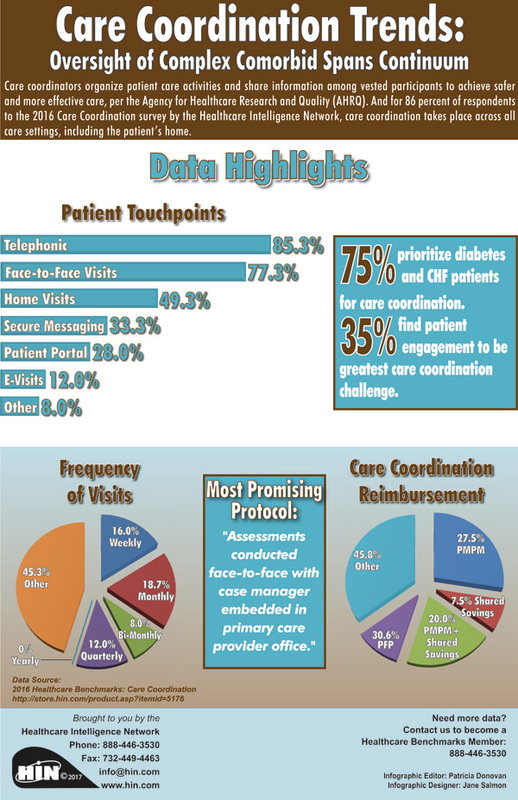 And for 86 percent of respondents to the 2016 Care Coordination survey by the Healthcare Intelligence Network, care coordination takes place across all care settings, including the patient's home. Because care management and coordination often defy traditional return on investment formulas, come budget time, AltaMed Health Services Corporation had to take a hard look at contributions of its multidisciplinary care team to the organizational bottom line. Shameka Coles, AltaMed's associate vice president of medical management, outlines seven key metrics presented to AltaMed's CFO tying the coordinated care team to Altamed’s financial goals—data that ultimately secured funding for phase four of the coordinated care management initiative. 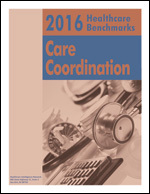 Breaking Down UTSACN Advanced Care Coordination: "Data Analyst Is Your Best Friend"
More information on this topic can be found in: 2016 Healthcare Benchmarks: Care Coordination, which examines care coordination settings, strategies, targeted populations, supporting technologies, results and ROI, based on responses from 114 healthcare organizations to the September 2016 Care Coordination survey by the Healthcare Intelligence Network. This 40-page report assembles hundreds of metrics on care coordination, as implemented by hospitals, health systems, health plans, disease management, case management and other organization types.